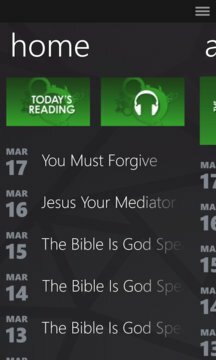 Welcome to Rhema Media’s The Word For Today application for Windows Phone. The Word For Today gives you a daily word of encouragement. The Word For Today is written by Bob & Debby Gass, with insights from scripture and applied Biblical principles. The Word For Today is provided with the compliments of Rhema Media Incorporated and is provided through the generosity of our members and donors. 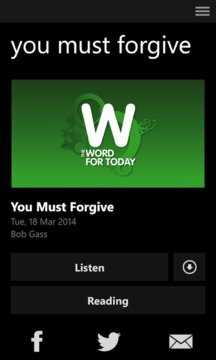 Word for Today app was developed with the Subsplash App Platform.